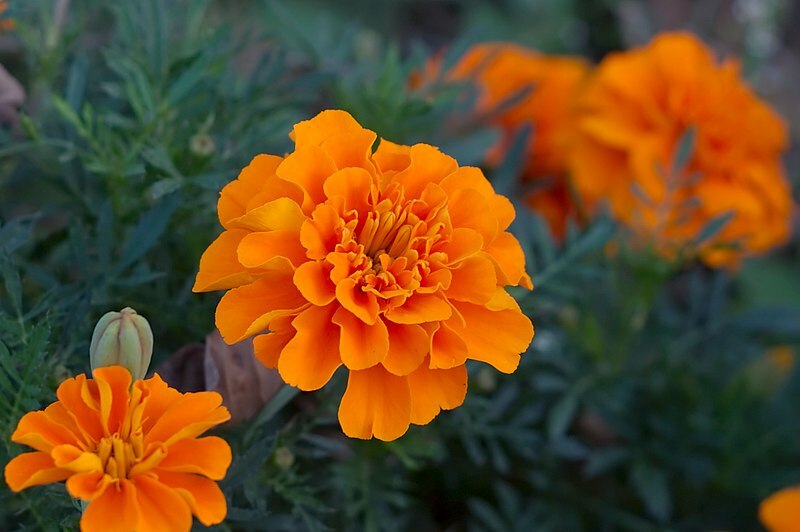 The french marigold, Tagetes patula, is a sunny flower Native to South America that grows easily with adequate light and water. Some may say they have been around forever and they are too common. Take a close up view and notice how they pop with color. Like an orange cup coral, they liven up their surroundings with a rich glow. They grow 6-18 inches tall and come in shades of yellow, orange, red, gold, maroon, brown and combinations. Flowers can be single or fully double. 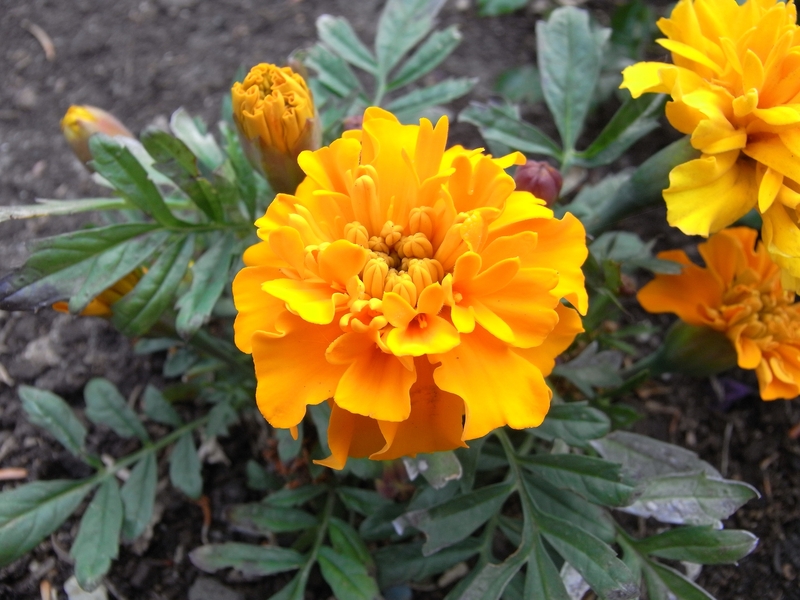 Marigolds have long been known to be good companion plants because of their strongly scented foliage. When planted around cabbages, tomatoes, peppers and potatoes they may reduce insect and nematode populations, including aphids. Unfortunately, slugs love marigolds, so beware. Enjoy this useful annual and create an underwater coral reef in your own garden. Next Next post: Scary Plants…Eeeek! Euphorbia!! !